2016.12.11 Make America Great Again, According To Whom? That Is the Question. Not so “great” for me, thanks. I assume that “great”means back to what we thought we had before Democrats messed it up. And I assume “great” has mostly to do with the economy and money. I was the teen and young woman, and I am now the old woman, who felt, feels, queasy just looking at the famous 1945 photo of the homecoming WWII sailor grabbing a nurse, holding her close, and sweeping her off her feet for a meltdown kiss. It’s a famous photo. It ended up going viral in Life Magazine. The image is still embraced as a symbolic expression of pure joy at the war’s being over. Yes, yet I felt uneasy and kept silent. Once in midlife I argued with a woman friend who thought me a fool. Something just did not look or feel right to me. Everyone adulated the photo, which in fact was a darn good snapshot of a moment in time. It is called iconic. An icon is a strong visual image, often with spiritual implications. One is meant to look through it to see something greater or deeper. 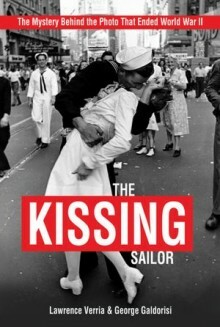 What do you see when you look at, and beyond, the kissing sailor photo? The true story behind the photo, its artist and its subjects is this: The photographer was Alfred Eisenstaedt a WWI German soldier. He was prompted to take the photo on August 14, 1945, because the light was perfect, in part because of the sudden brightness reflecting off the white on the nurse’s uniform. The photo ended up on the cover of Life Magazine. Snap. Flash. Fame. The sailor, George Mendonsa, twenty-two, was inebriated and running wild at the news of the war’s end. He was celebrating with his date, a young woman named Rita whom he subsequently married. Rita was not, and is not, bothered by the famous photo. The location was Times Square in New York City on what was called V-J (Victory over Japan) day. The putative nurse was not a nurse but a dental assistant named Greta Zimmer. She was walking into the square from work to see what all the commotion was about. Zimmer was one of the last escapees from Germany. She later learned that her parents died in the camps. 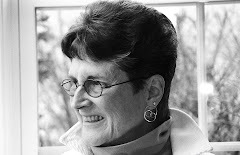 Greta Zimmer Friedman now lives in Maryland. She is not as nonplussed by the photo as the sailor’s wife, Rita. To read more check out The Kissing Sailor originally published in 2012, co-authored by Lawrence Verria and George Galdorisi. I do see exuberance and pure joy, and for good innocent reason: being free of the pain and cost of war. I also see that a man overpowered by drink can take unfair sexual advantage of a woman without her consent. This may seem prudish, and it is. It is also my unwillingness to squelch my original and ongoing discomfort—or at least ambiguity— about the photo. I grew up in the "Mad Men" era in NYC and had just turned seven when this photo came out. Even then I, the curious child, wondered about the photo, and when I turned eight this kind of overpowering happened to me, too. This supposed “icon" is part of the “great” America to which I do not now want to return or desire to reinstate. It stands as a reminder but not an icon. It wasn't that "great" for women back then.